Plenty of adventure and outdoor films showing in DC this weekend. 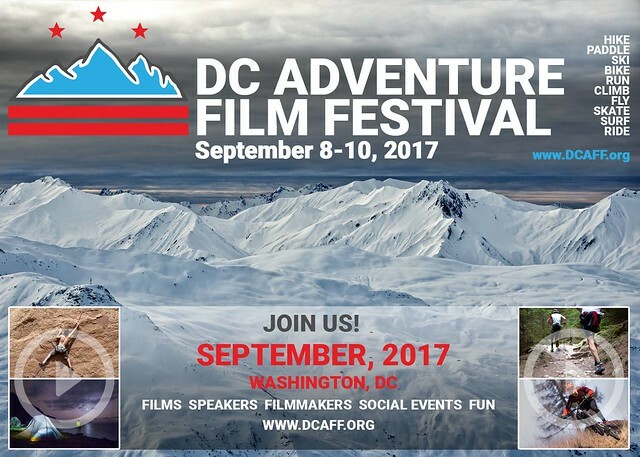 There are many films that look interesting at this year’s DC Adventure Film Festival, for a total of 34 films, anywhere between 1 minute to 53 minutes. The films are split into seven programs (or blocks) to choose from over the two days, and there will also be two Q&A sessions with the directors of Feel the Burn and The Gold Line. The themes are about outdoors, like climbing and biking. Many of the films also focus on women. Give in to your adventurous side! Tickets are $5, $8 or $20 depending on the Program.